Wulverblade! Flame in the Flood! 88 Heroes! Yono! 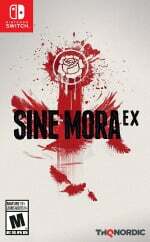 Sine Mora EX! More! It's that time, once again, for the European Nintendo Download Update. It's another busy week with the Switch in particular getting loaded up with tempting options, though the 3DS and Wii U also have a bit to offer. Let's just right into the details, shall we? Sine Mora EX (THQ Nordic, €29.99 / £24.99) - A shoot 'em up originally developed by Digital Reality and Grasshopper Manufacture, this is a stylish shooter in which you can slow down time. It has a mature, gritty story to work through, along with other modes for pick up and play sessions. Unfortunately some of the 'EX' add-ons are underwhelming (to put it mildly), but we still gave it a modest recommendation in our Sine Mora EX review. 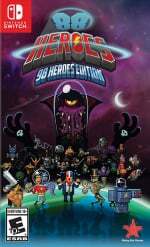 88 Heroes: 98 Heroes Edition (Rising Star Games, €29.99 / £29.99) - An action platformer with an interesting twist; you have 88 levels to clear with a time limit of 88 seconds in each. The gameplay seems to throw in various twists to keep things interesting, and on Switch it includes all of the DLC that was sold separately in other versions. 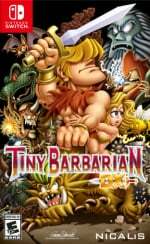 Tiny Barbarian DX (Nicalis, €29.99 / £26.99) - An action platformer that pays homage to the retro era, it supports local co-op and also has "four lengthy episodes". We suspect most will aim to get the physical edition of this, however, which will include various goodies in the first run. Our review will be with you very soon. 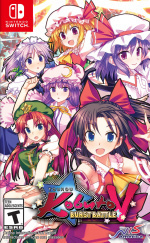 Touhou Kobuto V: Burst Battle (NIS America, €29.99 / £29.99) - A spin-off of the popular Touhou Project series, Touhou Kobuto V: Burst Battle is described as a 3D shooter with fighting elements, which tasks you with taking down opponents 1 vs 1 using projectile and melee attacks. Unfortunately we were left rather unimpressed in our Touhou Kobuto V: Burst Battle review. Available from 13th October. 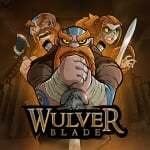 Wulverblade (Fully Illustrated, €16.99 / £14.99) – The beat ‘em up genre isn’t as popular as it once was, but this intriguing release does an excellent job of reminding us of its merits. Rooted in British history and packed full of passion, it’s a brutally tough game but one we gave a hearty recommendation in our Wulverblade review. 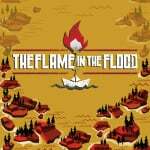 The Flame in the Flood (The Molasses Flood, €14.99 / £14.99) – Created by a team of former ‘AAA’ developers, this arrives on Switch as the Complete Edition. An intriguing ‘roguelite’ survival game, you travel along the river and alight at various towns and buildings to seek gear and vital supplies. We’ll bring you a review soon, but in the meantime here’s an interview with the game’s designer. 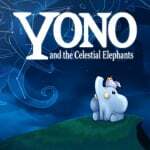 Yono and the Celestial Elephants (Plug In Digital, €14.99 / £12.99) – A rather charming adventure game in which a plucky elephant explores, tackles puzzles and even gets into a bit of combat. Introduced in the most recent Nindies Showcase it’s undoubtedly appealing, but we’ll see whether it’s worth a purchase in our upcoming review. 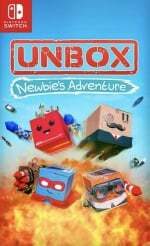 Unbox: Newbie's Adventure (Merge Games, €26.99 / £22.49 until 18th October, then €29.99 / £24.99) - Also coming to retail in November, this is a physics-based 3D platformer aims to encourage reminiscing over the genre's golden era while introducing its own ideas. In some ways it succeeds but there are some flaws; we gave it a light recommendation in our Unbox: Newbie's Adventure review. 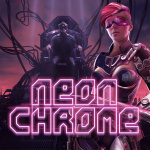 Neon Chrome (10Tons, €14.99 / £12.99) – A ‘top-down Cyberpunk shooter, this looks big on action and supports co-op for up to four players if you want to tackle it with a buddy. It has procedurally generated stages on offer but struggles to inspire that 'one-more go' feeling, as we explain in our Neon Chrome review. 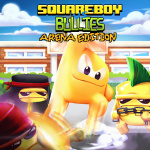 Squareboy vs Bullies: Arena Edition (Ratalaika Games, €4.99 / £4.49) – A beat ‘em up that was once on mobile, you can brawl alone or with a friend to beat up wannabe tormentors. A reasonable game, albeit one perhaps lacking a little overall, we gave it a modest recommendation in our review. 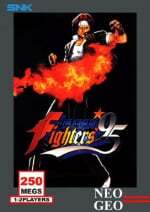 The King of Fighters '95 (HAMSTER, €6.99 / £6.29) – Another ASA release, in this case continuing our run of KoF titles. This second game in the series brings a rather welcome option that would go to become a series staple: You are not confined to pre-determined teams, so you can pick any characters from the roster to make your own dream trio. That said, its arguably superior successor is already available. Story of Seasons: Trio of Towns (Nintendo, €39.99 / £34.99) - This sequel (which is a Harvest Moon game in all but name) builds upon the charming farm-sim aspects of the original and adds new ideas while expanding the concept. We were rather impressed with it in our Story of Seasons: Trio of Towns review. Available from 13th October. Physical Contact: 2048 (Collavier Corporation, €3.73 / £3.29) - A series we first saw on Switch that now jumps to New 3DS, in this case offering local multiplayer and solo play in a variation on a popular smart device number game. We weren't particularly impressed with the Switch version. Physical Contact: Picture Place (Collavier Corporation, €3.73 / £3.29) - Another in this series of relatively simplistic games that encourages local multiplayer. Like its brethren this was unimpressive on Switch. Physical Contact: SPEED (Collavier €3.75 / £3.29) - A rather simplistic card game that can be played solo or with another player; it had a notoriously bad trailer on the Switch eShop; it's not a great game. 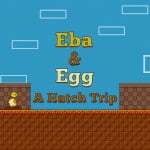 Eba & Egg: A Hatch Trip (Giga Drill Games, €4.99 / £4.49) - In an idea seen recently in I and Me, you control two characters at the same time while working through over 25 levels. Despite some nice ideas it's lacking in quality and polish, as we suggest in our Eba & Egg: A Hatch Trip review. 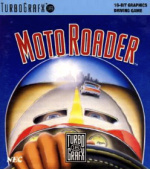 MOTOROADER (IREM, €5.99 / £5.39) – An overhead racer that likely had a lot of competition back in the day, and perhaps struggled as a result. We were certainly unimpressed in our Wii Virtual Console review. 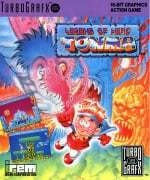 Legend of Hero Tonma (EXTREME, €5.99 / £5.39) – We described it as a kids' version of Ninja Spirit once upon a time, a colourful action platformer that arguably fails to live up to its contemporaries. You can read all about it in our Legend of Hero Tonma review from the Wii Virtual Console days. Lots of options to tempt you this week - let us know what you'll be downloading in the poll and comments below. Terrible discounts on Wii U. The Flame in the Flood looks like it's possibly the best game released on Switch this week. Another decent week on Switch. Wonder what it'll be like after Mario comes out? > That said, its arguably superior successor is already available. I don't think there's really anything to argue about there. I'll get Kirby: Triple Deluxe at some point since I skipped it because I didn't enjoy Kirby's Adventure Wii (/Return to Dreamland) that much. Then I bought Planet Robobot when I found it for good price and absolutely loved it. They had just announced Triple Deluxe as a Nintendo Select game for NA so I decided to wait until they'd announce and release it in Europe. Since Odyssey is coming really soon, I'll get Triple Deluxe a little later. I don't think it's that great a week for Switch. Yes, there are a few titles coming out, but none of them are compelling. Mario's just around the corner though. Weak week, Zerodiv needs to hurry up and release Zero Gunner 2. Luigi's Mansion 2 (physical) for me. Saving my pennies for Mario at this stage. Is it me or does it appear to be less Switch games releasing this week than in the U.S. on the eShop? Would have say nothing for me but I gave in and got Infinite minigolf. It’s cheaper on Steam but being able to play in portable mode made paying £2 more worthwhile. Not sure what I think of it so far, the controls are a bit sensitive. Nothing interested so far for me this week. Cant wait for more upcoming games. I highly recommend Polara to anyone with a 3DS, will really give your twitch skills a workout. Nothing I fancy this week- thankfully. Haven't finished golf story or started stardew valley. Nothing this week, but that's fine - still mainly playing Golf Story, Stardew Valley and FIFA 18 while occasionally playing the 'older' releases like ARMS, Mario Kart 8 Deluxe and BOTW. With Super Mario Odyssey just a couple of weeks away, there are so many great games and not enough time, and that's only on the Switch! Oof, finally a calm week for my bank account. The calm before the storm in the coming weeks! Those retail download prices are insane! I can't believe games of this quality are asking for 30€ each. No thank you! So this week my vote goes for The Flame in the Flood. I got retail version of 88 heroes: 98 heroes edition last week and its pretty fun platformer! 98 heroes, 88 levels, 4 worlds, 4 modes, 30 achievements. Still got too much to play so just waiting for discounts at the moment, but not in any of these games offered. Wulverblade for me and I'll never pass up a demo, so count me in for Oceanhorn (a game I wouldn't even of considered otherwise). Note to all game publishers - offer a demo. No matter how short. If you've confidence in your game, it will only enhance sales. Not just Nindies either, Nintendo (I know they're not listening) release a demo for Fire Emblem Warriors - watch sales increase. Easy. @PAppleyard I vaguely recall watching a YouTube video - https://youtu.be/s14kCPFX6lI - where the reviewer mentions (strongly recommends almost as mandatory) that you can modify the sensitivity of the controls in the options menu. @Fragarach Agreed. Knock-off a tenner and I would've bought SINE MORE EX (or whatever it is called, can never remember, lol!) instantly. Worried a lot of upcoming games are similarly going to be inflated in price. £5 to £15 is my digital sweet spot. £20 at an absolute push, higher than that and it needs to be a full physical release title. Inifinite Minigolf for 10€? It's my turn. @Lroy Absolutely. I get the feeling publishers are taking advantage of the current hype for the switch to get away with charging these prices, especially considering many of these games were developed years ago, been heavily discounted on several platforms in the past, and for all we have been told, porting to the switch is a mostly painless affair. Having said that, I would guess this strategy will work as expected and these inflated prices will become the norm. I couldn't find Tiny Barbarian DX and 88 Heroes on retail in Europe. Where are they? When do they come? To call this a weak week shows how spoiled we've been on Switch this past couple of months. Both Wulverblade and Flame and the Flood are top games so even if it had just been these 2.games available it should be classed as a strong week. But it's not just these 2,there's a handful of others too.Some of them are overpriced but they're not bad games. Not much for me this week as I don't have a switch yet but bought a ps4 last week so few games to try there before I take the plunge. Still hoping for a bigger memory variant tbh. Or at least a better ltd edition model. I need some thirds not indies! KOF 95 for me this week. Sine Mora will be a physical purchase. I just wish Tonma was on the Switch instead of WiiU as it would be an instant purchase as well. Really liked the game on PC-Engine. 30 panda spent on Wulverblade and Flame in the flood. Ive hardly started stardew valley or Rayman, backlog on a nintendo console feels uber fantastiche. Flame in the Flood looks really good. I'll probably get that! Still no new Psikyo games!? Come on ZeroDiv!